During the last winter break, Hubby and I took a short vacation to the lovely island of Kauai. One evening, as we discussed where to go for dinner, Hubby was using his smartphone to locate nearby restaurants. "What about Caffe Coco?" he asked. I replied, "I've read good things about it." He did some poking and scrolling on his phone and then showed me the menu. It looked quite interesting, so we agreed to go there for dinner. The GPS app on the smartphone guided us to the restaurant. I had the odd feeling we were going in the wrong direction, but I wasn't really familiar with the area, so I didn't worry about it. When we arrived, the large, crowded parking lot indicated just how popular the place was. As we approached the building, I could see signs for a large resort hotel, but nothing for Caffe Coco. "This isn't the restaurant," I said. A man passing by asked if we were looking for the restaurant, and showed us which way to go. I was beginning to feel more and more lost, because there were still no signs for Caffe Coco. Instead, we came upon a restaurant called Hukilau Lanai. Hubby spoke to the hostess, who told him it would be a 40-minute wait for a table. I was totally confused. Couldn't he see that we were in the wrong place? "This isn't Caffe Coco," I said. "Right," he said. "You didn't want to go there." "You said you had heard bad things about it." "No, I said I had heard good things about it." Ah-ha! The communication breakdown had started at the very beginning of our conversation. Hubby misheard me, and thought I said bad instead of good. So he immediately selected a different restaurant and showed me the menu. I didn't notice the switch, so I thought we were still going to the first place. From that point on, we were completely out of synch. Luckily, this wasn't a serious situation. Apart from a temporary feeling of total confusion, there were no negative consequences. We went elsewhere and had a good dinner. People misunderstand each other all the time. The hamburger is served with mustard rather than without. "Inexpensive" is misheard as "expensive". Years ago, the news reported the case of a man who ended up in Auckland, New Zealand, when he intended to go to Oakland, California. Misheard words are not the only source of confusion. Sometimes entire ideas are interpreted in completely different ways. 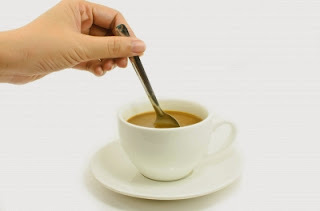 To one person "a little sugar" is a rounded tablespoon, and to another it's half a teaspoon. A "short" visit from the in-laws might mean three days to one person and three weeks to another. Many misunderstandings are soon discovered and straightened out. Others go on for days, weeks, even years. And sometimes the problem never gets fixed. Two people caught in a cycle of misunderstanding end up seeing each other as neglectful, intentionally obstructive, stubborn, and completely irrational. We are so convinced that our point of view represents reality that it simply doesn't occur to us that the other person started with a different set of premises and is actually being just as logical and sincere as we are. Usually Hubby and I communicate pretty well. But sometimes, something goes awry. Sometimes, just at the moment where I am nearly convinced that my husband has gone insane (and he is probably thinking the same about me), I remember to stop and take a breath. I ask him, "Are we talking about the same thing?" Acknowledging the possibility that we have simply misunderstood each other has a calming effect. We can step back, start over, and get on the right track. When a discussion that should have been straightforward turns into a crazy-making argument, stop. Breathe. Calmly, carefully, find out whether everyone really heard what was said, and whether what was said was really what was meant. Before you get on that plane to Auckland, take a moment to read the boarding pass. Oh, this has happened to me so many times. Talking on cell phones especially seems to lead to misunderstandings.